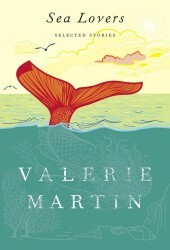 Valerie Martin’s most recent novel The Ghost of the Mary Celeste was published by Nan A. Talese/Random House in 2014, and is now available in paper from Vintage. Sea Lovers, a volume of new and selected short fiction, also from Nan A. Talese, was published in August of 2015. Two volumes of a trilogy for middle-grade readers Anton and Cecil: Cats at Sea and Anton and Cecil: Cats on Track, co-written with Valerie’s niece Lisa Martin, began publication from Algonquin in October of 2013. The final volume Anton and Cecil: Cats Aloft will appear in the fall of 2016. Valerie Martin has taught in writing programs at Mt. Holyoke College, University of Massachusetts, and Sarah Lawrence College, among others. She resides in Dutchess County, New York and is currently Professor of English at Mt. Holyoke College.